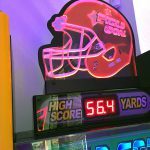 Field Goal – Arcade American Football Kicking Game. 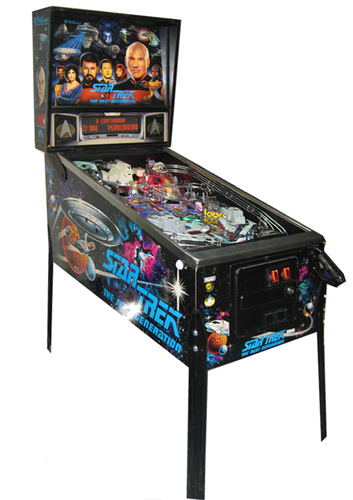 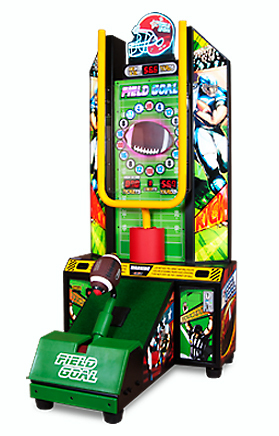 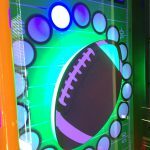 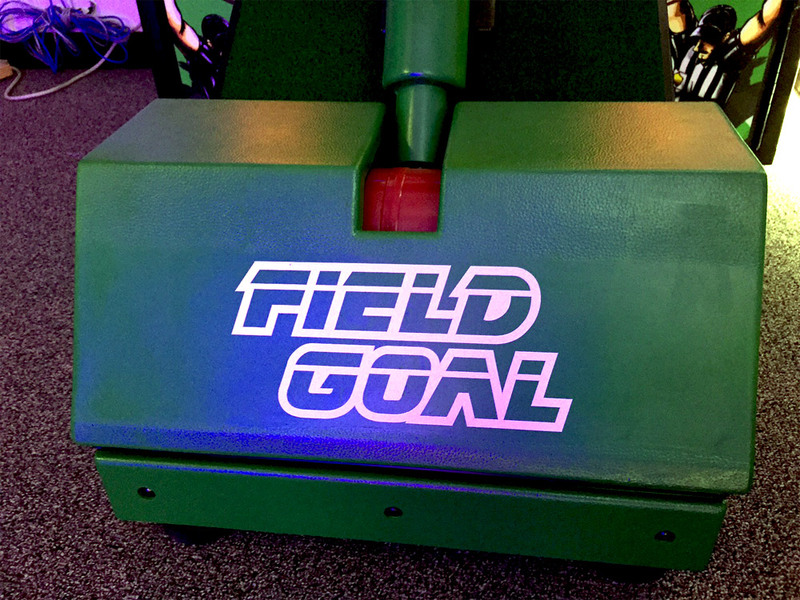 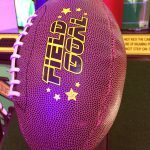 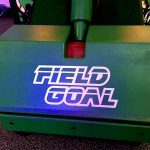 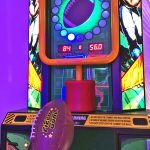 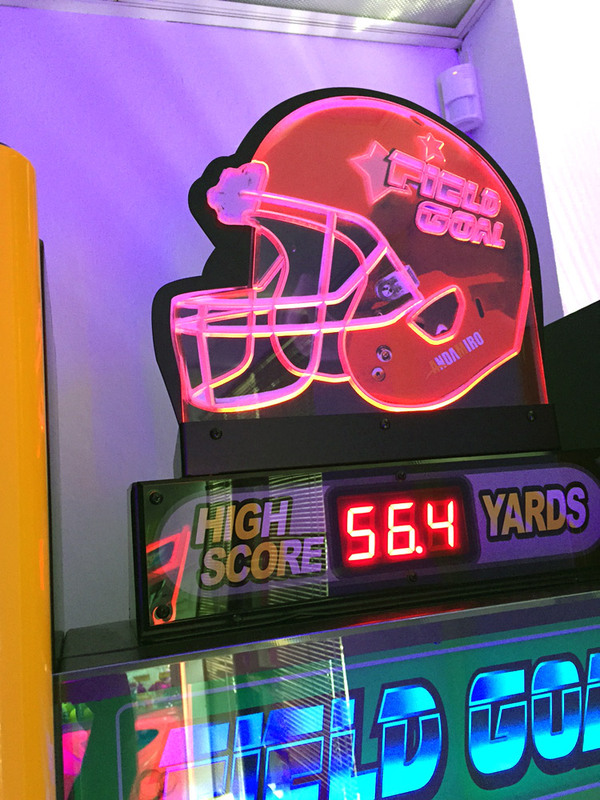 Field Goal Arcade is an “American Style” Football Arcade Game where the players kicks a real football, which activates a spinning football on the playfield ! 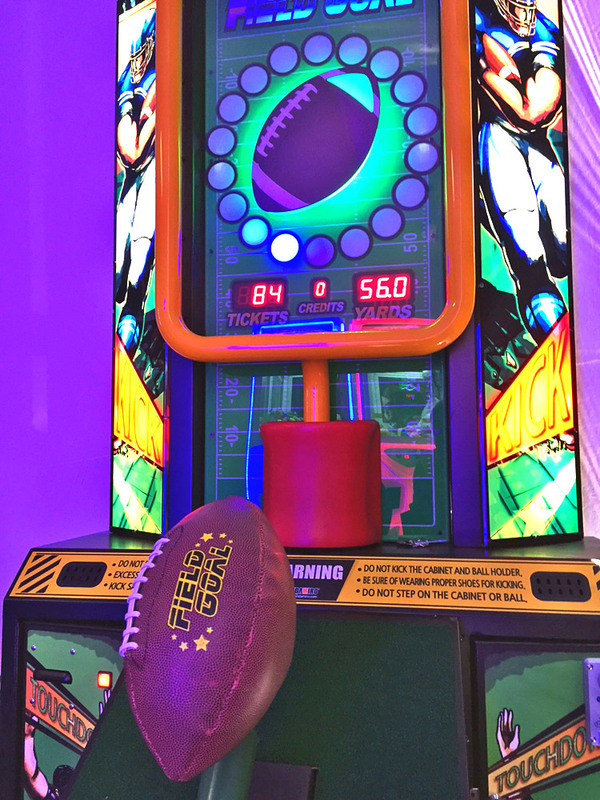 The playfield ball will spin as fast or as slow as the football was kicked. 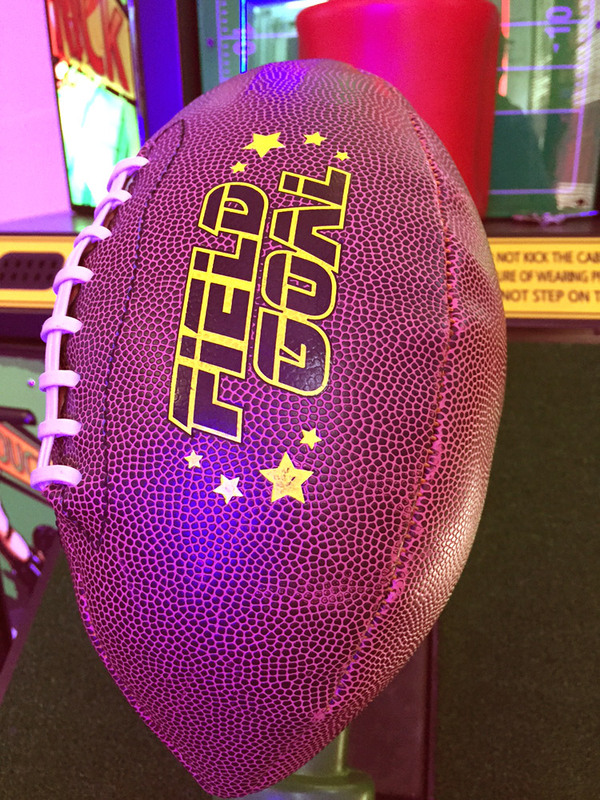 After kicking, when the football sign stops spinning the lighted tip of the ball will point to a ticket value and the player wins tickets ! 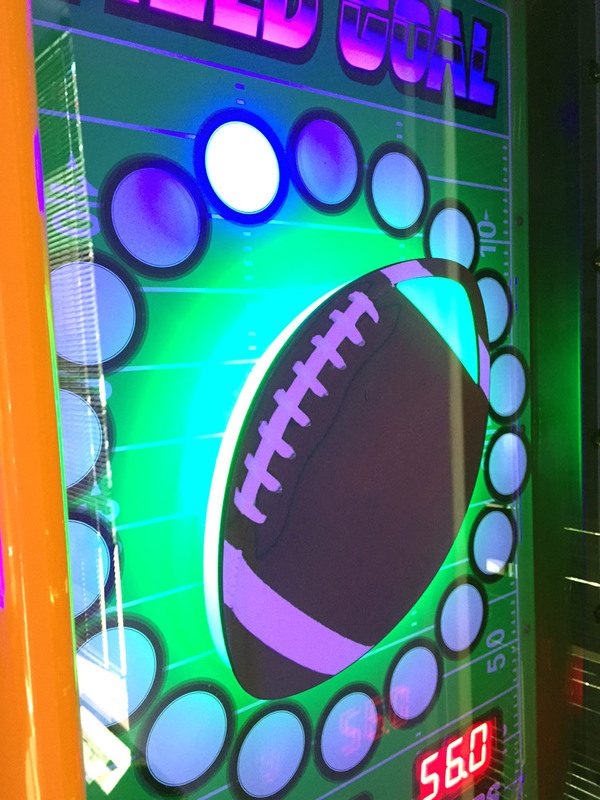 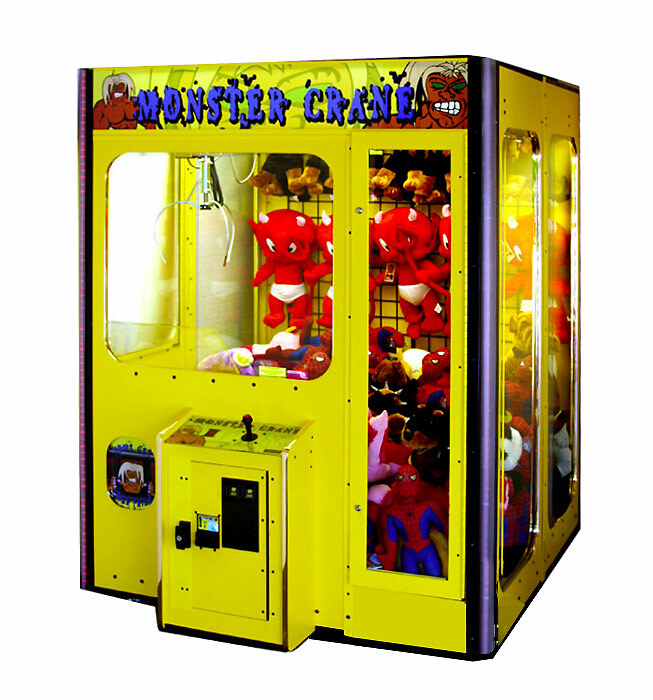 Field Goal American Football Kick Game Features: Bright LED Lighting Effects, Realistic Football Kicking Action, Striking Football Themed Cabinet, Exciting Spinning Football Action, Ticket Redemption Game and Durable Real Football.